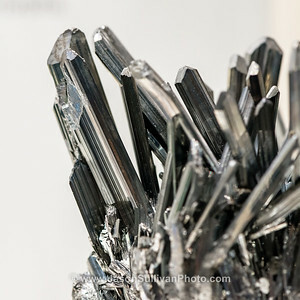 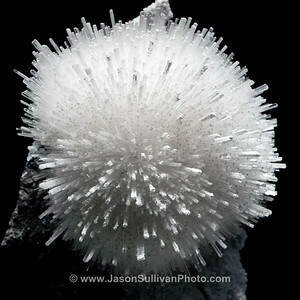 A selection of Jason Sullivan's 1:1 ratio size Nature photos. 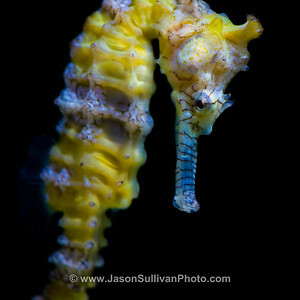 A seahorse drifting in dark waters. 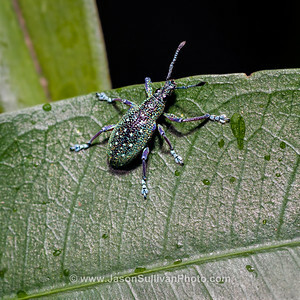 An interesting looking beetle in the Costa Rican jungle at night. 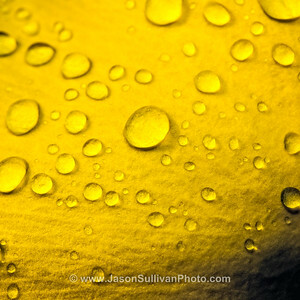 Rain droplets beading on the surface of a flower petal. 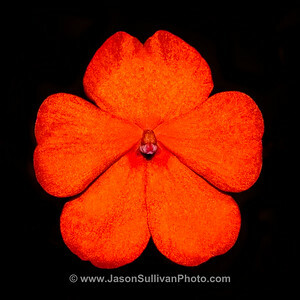 A bright flower growing on the jungle forest floor. 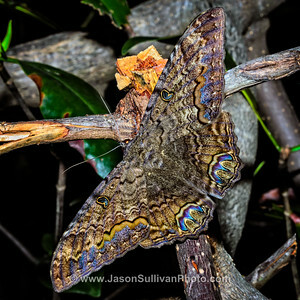 A large moth with his glowing nighttime colours. 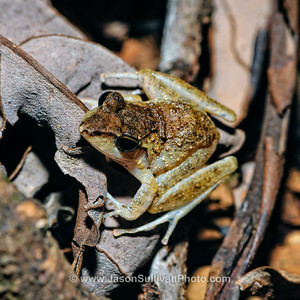 A Rain Frog hiding out on the jungle floor. 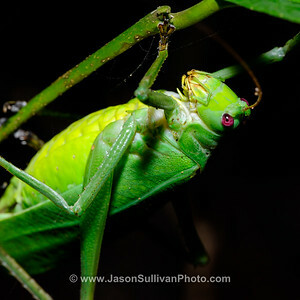 A large hopper clinging to the low hanging jungle foliage at night.